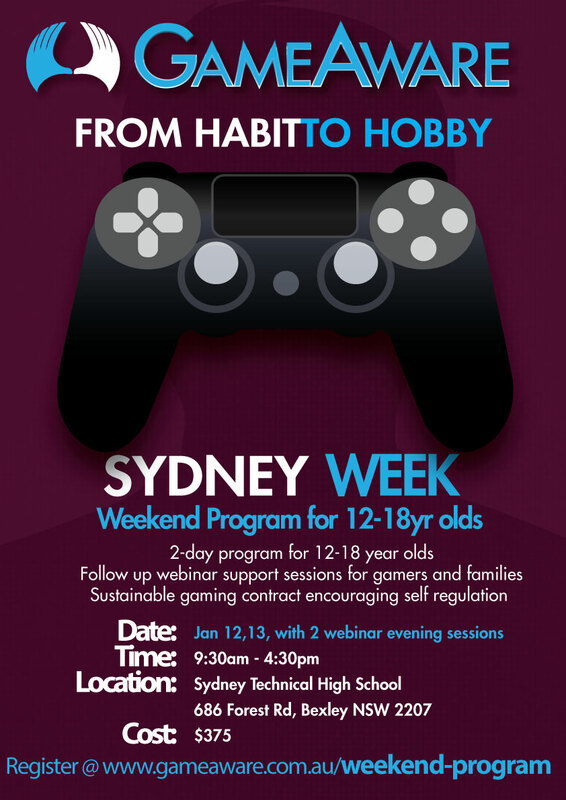 For the first time after 3 successful years of programs in Melbourne, GameAware is bringing a group program to Sydney in a Weekend Program format. This program is designed to encourage responsible gaming by improving self-regulation and increasing social connection through additional hobbies, strategies and and self-awareness. On the other hand, this program is also designed to help gamers enjoy and improve their gaming as they trade quantity for quality. Being game-aware means you know how to revolve gaming around your life instead of your life around gaming. It’s not uncommon for gamers actually enjoy their gameplay more than they did when they played irresponsibly.